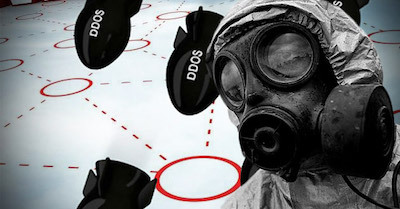 Denial of services Dos / DDoS continues to be a issue for many organizations. 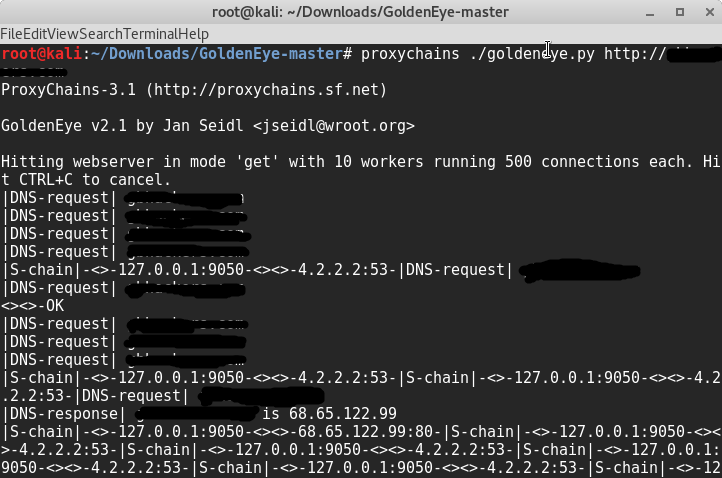 This post will provide a brief overview of denial of service attacks and showcase the GoldenEye tool to test this concept. I also have posted about another popular DoS tool called Slowloris HERE. Volumetric attacks using large amounts of traffic to interrupt service on a target system. This means flood based attacks such as ICMP, UDP or other floods. This can be accomplished by using a large botnet IE large network of compromised systems via having those systems send a ton of traffic at a specific target. This is probably the hardest form of DoS to defend against since most web sources can only handle a certain level of traffic hence vulnerable to this attack. Defense can come from enterprise solutions like Arbor and Radware that work with ISP level providers and monitor the network for DoS type behavior. Throttling can help a server digest large amounts of traffic by pacing what is accepted and processed. Reputation security can identify if a source seems malicious in nature and deny that traffic. Application-layer denial of service attacks focus on the applications running on a system with the goal of finding a vulnerability. That vulnerability can be exploited and used for malicious actions including taking the system offline. Common security designed to prevent exploitation can help such as Intrusion Prevention (IPS) technology, antimalware / antivirus, web application firewalls and so on. Finally we have protocol denial of service. This is when the attacker abuses protocols to take out the target. Popular protocol attacks include synflood, ping of death or keeping communication sockets open (what Slowloris uses). Just like with application layer DoS, security solutions designed to prevent exploitation of vulnerabilities can help prevent these attacks. gbhackers provided a quick overview of how to use the GoldenEye DoS tool HERE. Here is that quick overview. You can use this and my slowloris posts to learn more on how to test against this attack. There are also many other tools such as Low Orbit Ion Cannon worth checking out. This tutorials was created for educational purposes only. We believe that Ethical hacking, Information security and Cyber security skills should be required for anyone in this Digital World. EtherApe – A a graphical network monitor, which displays network activity graphically. Hosts and links change in size with traffic. Color coded protocols display. GoldenEye – GoldenEye an python app designed for Security Testing Purpose only. Step1 : Run etherape [email protected]:~# etherape, it prompts a popup window which displays network activity graphically.